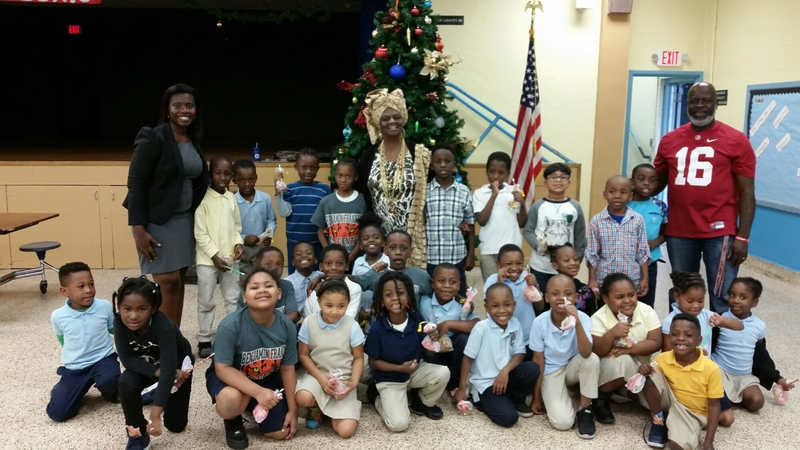 School Board Member Dr. Dorothy Bendross-Mindingall (D-2) spreads joy, happiness, and treats to the children at Benjamin Franklin K-8 Center in North Miami on December 23, 2016. What a wonderful day to end the School Year! Thanks Principal Dr. Fabrice Laguerre, administration, teachers, and staff for educating our amazing students. Go Tigers!